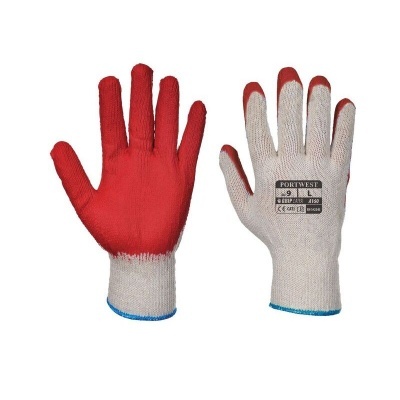 With outstanding grip in dry, clean and dirty conditions, good dexterity and mechanical protection, the Portwest Eco-Grip Latex Gloves A160 are the right choice in a range of low-risk applications. Despite their comfort, grip and protection, however, these versatile gloves come at an extremely economical price. The Portwest Eco-Grip Latex Gloves A160 are designated Category I gloves, which makes them suitable for low risk environments only. The Portwest Eco-Grip Latex Gloves A160 are available in one size that should suit most users due to the flexible nature of the design. However it is recommended that you measure the circumference and length of your palm and match the results to the table below to ensure a secure fit.